Have your family reunion, wedding or other gathering at Duneswood Resort! 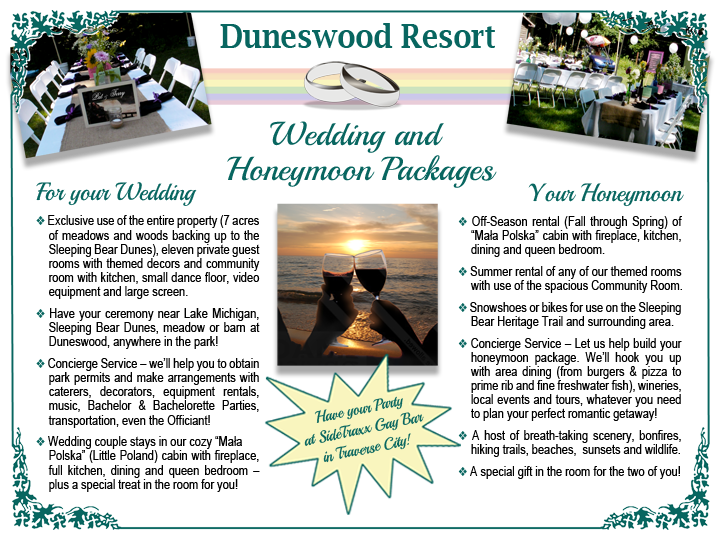 Let us help you plan the event you have waited a lifetime for! Email us, or give us a call!